On the journey to Coniston we will stop for complimentary coffee/teat the Strickland Arms at Sizergh. On arrival in Coniston will go directly to the award winning Ruskin Museum. There has been a Ruskin Museum in Coniston since 1901, set up both as a memorial to Ruskin and a celebration of the area’s heritage. The museum has a large Ruskin collection and exhibits relating to the copper mines, geology, lace, farming, slate and Donald Campbell. The Museum was extended in 1999 with the help of a Heritage Lottery grant and with modern design work, computer displays and hands-on exhibits the two galleries have been transformed. After lunch in the village, we will depart from Coniston Pier and cruise across Lake Coniston in the Victorian Steam Yacht Gondola. We will enjoy the spectacular views, the talk by a crew member and appreciate the splendour of the lake as we glide in this sumptuous rebuilt Victorian steam powered yacht to the private jetty of Brantwood the former home of the eminent Victorian writer, artist and social reformer, John Ruskin. John Ruskin was one of the most important figures of the nineteenth century – a cultural theorist and passionate critic of society. Famous as a writer, artist and social reformer, many great thinkers have been influenced by Ruskin’s ideas. Brantwood remains a place of inspiration. The house offers a fascinating insight into the world of John Ruskin and the last 28 years of his life which he spent in the Lakes. Filled with many fine paintings, beautiful furniture and his personal treasurers, the house retains the character of its famous resident. As you explore the rooms, house stewards are available to answer questions. 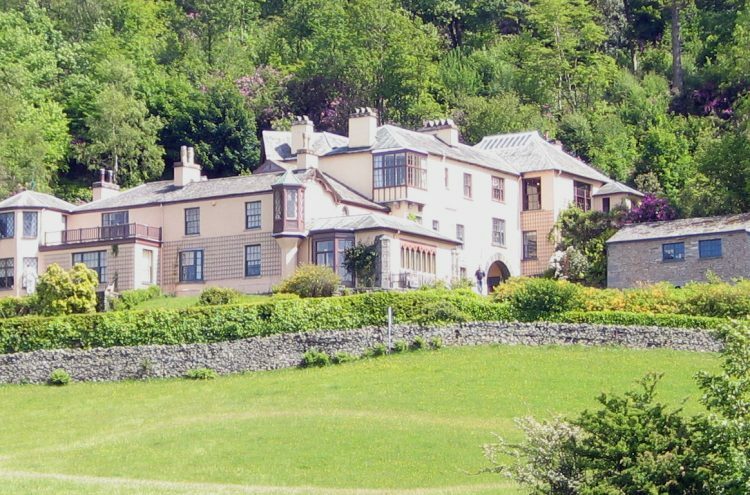 The Brantwood estate offers magnificent views of Coniston Water and the mountains beyond and you can explore the unique gardens. Brantwood is also a centre of exhibitions, both historic and contemporary. The coach will leave at approximately 4.30 pm to return home.